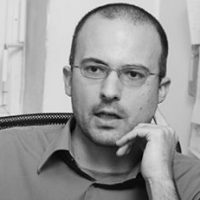 Vladimir Cvijanović is an economist with a doctorate from the Goethe University in Frankfurt, working in Brussels as an independent researcher and consultant in the field of public policy. He is one of the general editors of the book series ‘Socio-Economic Perspectives in South-Eastern Europe’, and an author at makroskop.eu, a magazine on economics and politics. His main areas of interest include comparative political economy, economics of innovation, sustainable development, and South East Europe.